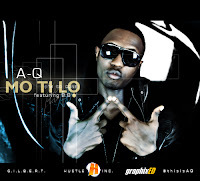 A-Q - Mo Ti Lo (I'm So Gone) feat. B.B. You think 'Champgane and rum' is a brilliant record? Then get ready for another ear candy Following up on his hit rap single - Chgampagne and Rum, Here's the another single off A-Q's offcial sophomore album which is titled 'G.I.L.B.E.R.T'. - an album which the emcee says would be alot personal that his debut 'The Past Present and Future' album. The record is titled 'Mo ti lo (I'm So Gone)' featuring newbie singer BB. The revered rap artiste known for his lyrical prowess delivers another record that could score as even another genre as it sees the rap artiste fuse dance with Bboy rhymes. It is evident that the rap artiste is beyond being the best lyricist and emcee but a musician. A video for the previously released siongle - Groovement is in the works and would be released soon, which would kick off the online Road to G.I.L.B.E.R.T' campaign. 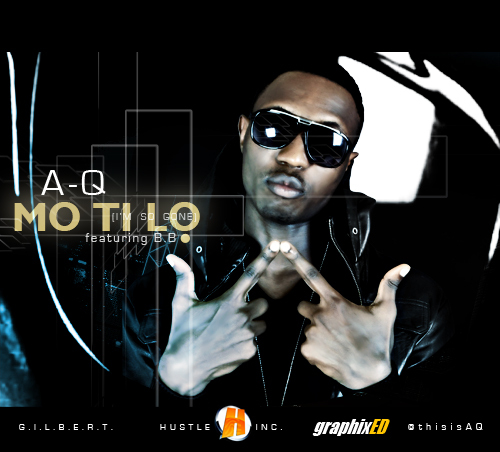 Keep up with A-Q on Twitter: @Thisisaq and experience first hand how another materpiece, 'G.I.L.B.E.R.T' would be made.